This is the first show since releasing the album “Transitions” in late 2015. “Transitions” also features some very special guest by members of Yes, Michael W. Smith, Glass Hammer and Proto-Kaw. 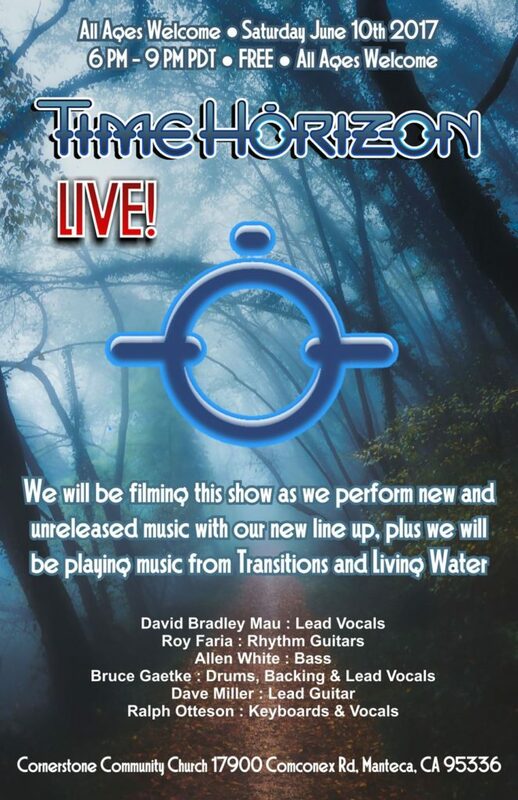 Time Horizon plans on filming live footage from the concert for a future release in one format or another. This show is also a kickoff introducing fans the two new members. New Comer – David Bradley Mau: Lead Vocals. New Comer – Roy Faria: Support Guitar Handling Rhythm Electric & Acoustic Guitars. Allen White: 5 String Electric Fretted and Fretless Bass also Electric Upright Bass. Bruce Gaetke: Drums, Backing & Lead vocals.